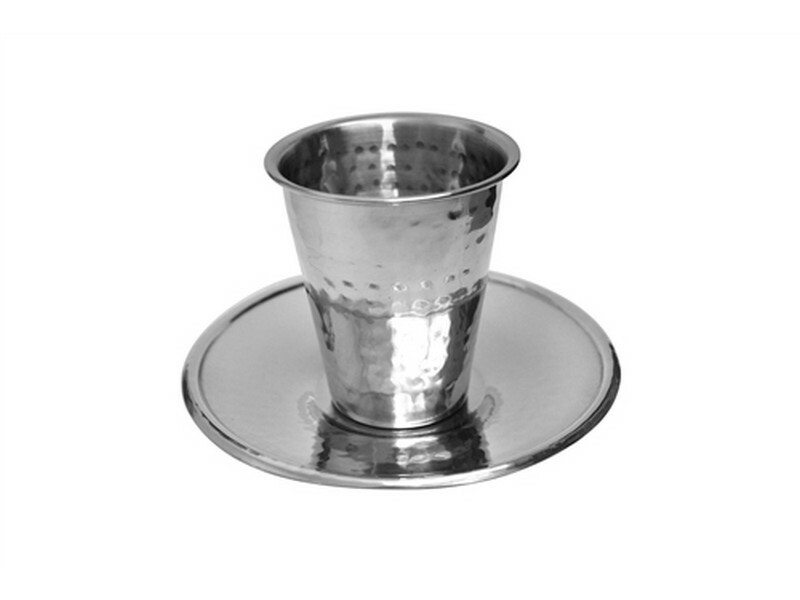 Made of stainless steel this Kiddush cup is designed with a modern style. A hammered steel with a rounded rim gives this Kiddush cup a contemporary look. Kiddush cup comes complete with a coordinating round saucer. This Kiddush cup is the perfect choice for buying in bulk. Economically priced with a lovely style, this Kiddush cup is the ideal choice for special events and large crowds. A wonderful option for a communal or large family Seder table.